In just a few months, the ambitious and eminently endearing owner of iCupcake was able to grow from a home-based business to a brick-and-mortar small business in Irbid, Jordan’s second largest city, after overcoming many hurdles along the way. 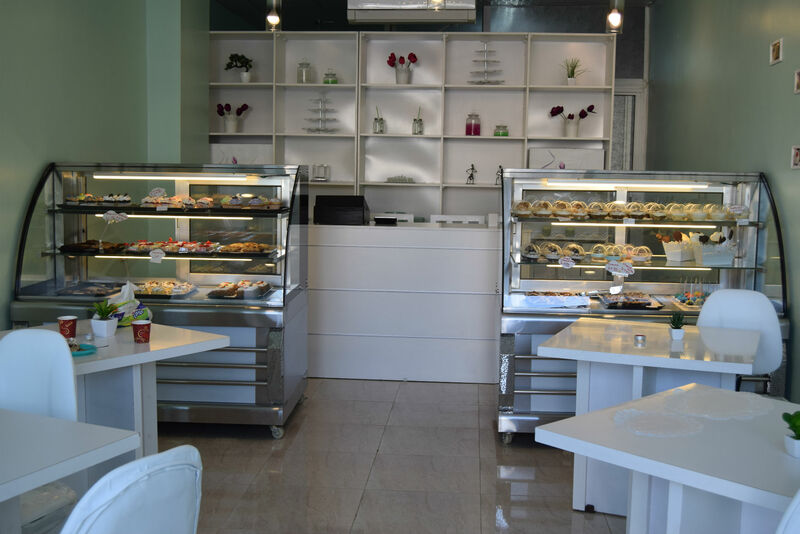 Tucked just off of Irbid’s busy city center, passersby might notice a new business on the main street, called iCupCake, but some will be surprised to learn that it is really not all that new. Though owner Milana Al Mushasha‘s shop has been open only since January 2017, she has been making and selling desserts from her home for over five years. That’s just the first of many surprises. Milana opened this bakery only a few months after closing another when the municipality shut it down claiming it was causing disturbance in a residential area, despite issuing her a formal license to operate. 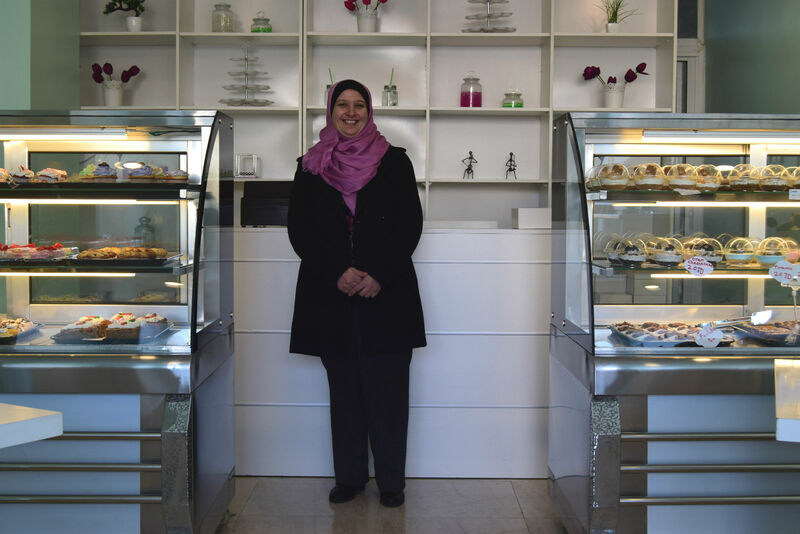 With a difficult financial situation and no experience as a business owner, she could have easily given up and went back to working from home, but she was determined not to give up on her lifelong dream of opening the first specialized cupcake shop in Irbid. “We were one of those houses that never ran out of desserts” said Milana. “I was the one in charge of baking sweets as a kid. I remember calling my father every day to ask him to bring the missing ingredients of whatever I was planning on baking that evening, on his way home from work”. By the time she was a wife and a mother, Milana was fully active in the kitchen, cooking for her family every day and taking cupcake orders from family and friends; a job that she loved but took a toll on her as it required too much time and effort with little financial return. “We’d get a few orders every now and then, but that was never enough because I was splitting the money with my sisters and daughters who helped me in the kitchen. I simply needed more customers”. And that’s when she decided to take it the next level. Milana sought financial support from USAID Jordan’s Local Enterprise Support Project to be able to expand and formalize her business in order to officially open Irbid’s first cupcake shop. This shop encapsulates everything Milana wanted as a child: a homey, local bakery that serves delicious sweets and is accessible to girls who live in the area. “Many girls come to the city from nearby villages that are considered conservative in many ways, to study in one of the universities here, and they often do not find a place where they feel safe enough to spend some time with friends or just study. Thankfully though, after only three weeks of opening, I’ve noticed that most of our customers are female university students who feel comfortable enough to spend hours here studying or just chatting with friends. That alone is something to be immensely proud of”. Not only is Milana’s shop a place that gathers local women in the area, it also provides job opportunities for young women. So far, she has employed 2 university students, and she plans on offering more job opportunities in the near future. When asked about her future plans for her shop, Milana said: “Branching out is definitely one of my goals, but the ultimate dream would be to expand to Amman [the capital city]. To compete with the famous bakeries there would definitely validate all the hard work my family and I have put into this over the years”. Milana hopes that her business will inspire women and girls in the area to follow their dreams and work hard. “I could have easily stopped after the municipality shut down my shop the first time, but my dream was far too big to give up. It’s never easy, especially when you have a family to look after, but I feel very hopeful about the future. It always starts with one small shop; one person wanting to change the welfare of his/her family and the community, then another will open, and more will follow in no time, and before you know it, a new business cluster will form. And it can only get better from there” said Milana while putting some colorful cupcakes in a box for a customer.